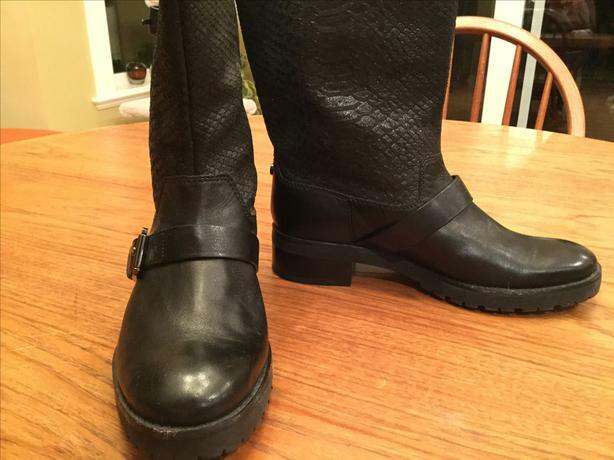 New, never worn Michael Kors boot, size 6M. Adjustable calf buckle. Embossed leather top.